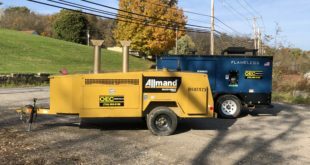 Different kinds of heavy equipment, such as ground thaw heaters and others, are provided on rental by OEC Rentals, one of the major providers of such equipment. This is making it possible for the customers to use the equipment on rental and change the ground conditions within a short time to make them fit for different kinds of works. Oakdale, Pennsylvania, United States: It has become quite easy to make grounds ready for work even after heavy snowfall, as OEC Rentals, one of the most popular heavy equipment providers in Oakdale, Pennsylvania, United States, is offering world-class products for rent at a reasonable rate. The ground thaw equipment provided by OEC Rentals make it easy for the land owners to make the land ready for work within a short time by thawing the snow even after heavy snowfall. Any country, which witnesses harsh winter conditions, faces extreme difficulty in keeping the ground in proper working condition. Usually, during the winters, these countries experience heavy snowfall and frost. Hence, the ground is covered with snow for a long time. Besides, the cover of snow is quite thick. So, it usually takes a long time to melt down. This causes a major problem, as the ground cannot be used for any work until the snow recedes. This drives the land owners to use another method to thaw the snow and make the ground ready for work. This is where the equipment for ground thaw rental are available. OEC Rentals offers various kinds of equipment for thawing the ice. One of the most renowned among them is the ground thaw heater. In addition to ensuring that the ice is thawed without much hassle, the heater also plays a major role in enhancing the ground conditions. The heater can be managed to control the amount of frost present in the ground. This is important to make the ground fit for farming and other works. Making the ground too dry can result in it becoming unfit for any kind of use. Hence, it’s extremely important to have a proper control over the process of thawing the ice and heating the ground with the rented equipment from OEC Rentals. The ground coupled heat exchanger from OEC Rentals is one of the most effective equipment for making the ground proper for all kinds of work. The ground coupled heat exchanger is known to capture heat from the ground, if required. Moreover, these equipment can also dissipate heat to the ground whenever it is necessary. This ensures that the ground can be dried up even after the heaviest of snowfalls. Hence, the users can make the ground ready for all kinds of work by thawing the snow and drying up the ground. Besides, this also ensures that the working conditions in the area is improved by the use of heat after the ground is completely covered by snow.